It has only been a little over three months since The Lancet published a study on the discovery of a plasmid-mediated MCR-1 gene in China (see Return of the Plasmids), which was quickly followed by a Eurosurveillance Dispatch (see MRC-1 In Denmark) showing this antibiotic resistance mechanism was already present in Europe. Like the NDM-1 Carbepenum resistance gene - which came to prominence just over 5 years ago (see NDM-1: A New Acronym To Memorize) - MCR-1 confers resistance to another class of antibiotics - Polymixins (Colistin). This is important since - despite its nephrotoxic side effects - colistin (a polymixin) is considered the antibiotic of last resort for some types of resistant gram negative bacteria like E. coli and Klebsiella. Like NDM-1, the MCR-1 gene is carried by plasmids - tiny snippets of DNA that can transfer the gene to other types of bacteria (see Study: Adaptation Of Plasmids To New Bacterial Species) in a shared environment. The big concern being that should a bacteria pick up both carbapenam resistance AND the MCR-1 colistin-resistance, then there would be little available to treat it. 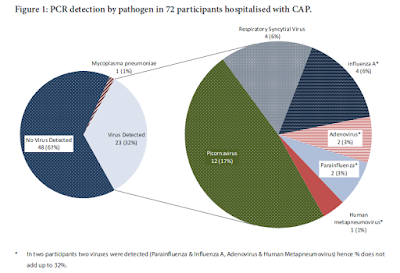 A little more than a month ago, in The Lancet's Emergence of the mcr-1 colistin resistance gene in carbapenem-resistant Enterobacteriaceae, reported on two K pneumoniae isolates that carried the MCR-1 gene and the gene for NDM-5 (Carbapenem-resistance), providing it near pandrug resistance. Ultimately, if index cases are not detected early and proper control measures are not implemented, Europe may face hospital outbreaks of infections for which there will be little, and possibly no, antibiotic treatment options. The spectre of a post-antibiotic world has been raised often in the past by high profile public health officials like Margaret Chan of WHO and Dr. Thomas Frieden of the CDC and was the topic of Maryn McKenna’s TED Talk - What do we do when antibiotics don’t work any more?. Follow the link below to read the report in its entirety. On 18 November 2015, Liu et al. reported the first description of plasmid-mediated colistin resistance (mcr-1 gene) in food animals, food and humans in China . In this issue, Kluytmans-van den Bergh et al. report on their finding of the mcr-1 gene in Escherichia coli isolates from three (1.5%) of 196 samples of chicken meat collected at Dutch supermarkets, one in 2009 and two in 2014 . This was done by whole genome sequencing of all E. coli isolates and then screening for the presence of the mcr-1 gene by comparing the assembled sequences with sequence data from two databases. 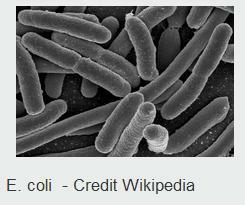 The same study did not find any mcr-1-positive isolate among 2,275 extended-spectrum beta-lactamase-positive Escherichia coli (screening and clinical isolates) sampled in humans between 2009 and 2015. The exact origin of the sampled chicken meat was not known, with the two samples from 2014 being labelled ‘non-Dutch, European’. The fact that the genomes of the two isolates from 2014 differed by only three loci and were from the same lot of chicken meat strongly suggest cross-contamination from a common source.